Diamonds are a girl’s best friend? Please. Chocolate is the way to a lady’s (and, what the hell, a fella’s) heart, and we’ve found some of the best chocolate in the city. 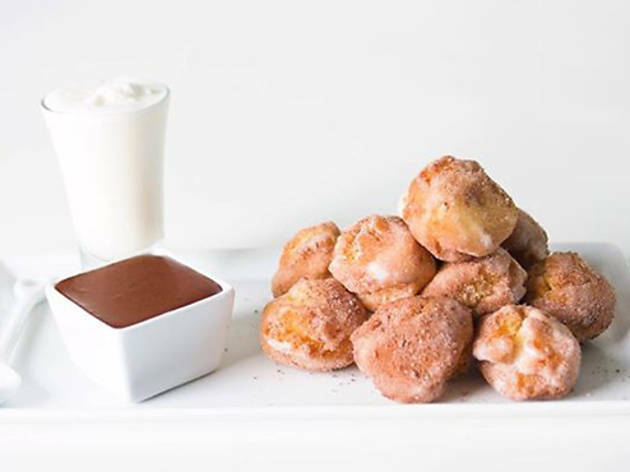 If you’ve already reserved a table at one of L.A.’s most romantic restaurants, hit the best gift shops in town, picked up a hot number from L.A.’s top lingerie stores and just need a little something extra to sweeten the pot, check out our favorite chocolate shops for a serious sugar rush. 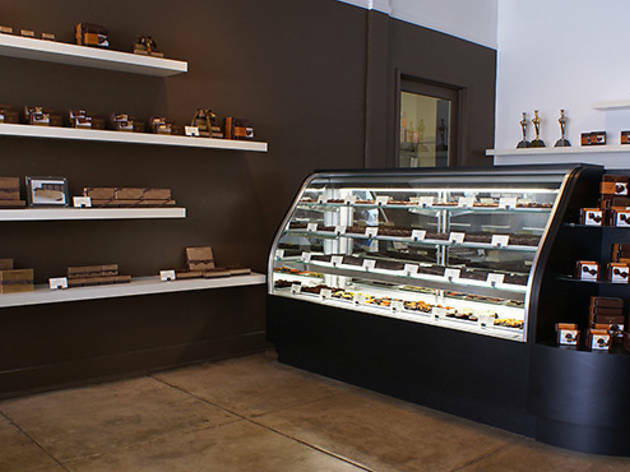 ChocoVivo is the first bean-to-bar shop in L.A. with all of the chocolate stone-ground in the shop’s kitchen. Founder Patricia Tsai is a purist and all her chocolates are free of fillers, flavorings or added cacao butter, giving the treats a more granular, earthy texture. The shop acts more like a community space and tasting room, where guests can concoct their own sipping chocolate at the chocolate drink bar, or try one, three or six samples of chocolate at the tasting bar. We recommend the Mayan tradition, or the coffee and vanilla bean blended chocolate bar. A trip to ChocoVivo for one of its frequent tasting events—past themes have included wine and whiskey pairings and s’mores nights—may be just as rewarding as a bar of Tsai’s organic stone-ground chocolate. 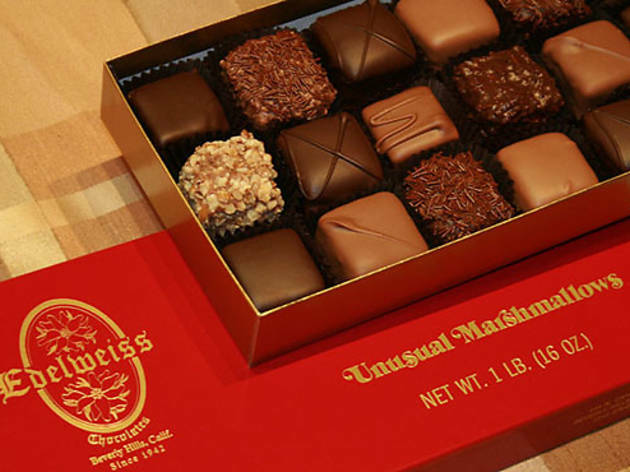 Despite calling themselves a Hollywood institution—the iconic I Love Lucy scene where Lucille and Ethel stuff their faces with chocolate off the conveyor belt was, after all, inspired by this store—stepping into Edelweiss Chocolates is more like taking a trip to the Swiss Alps. 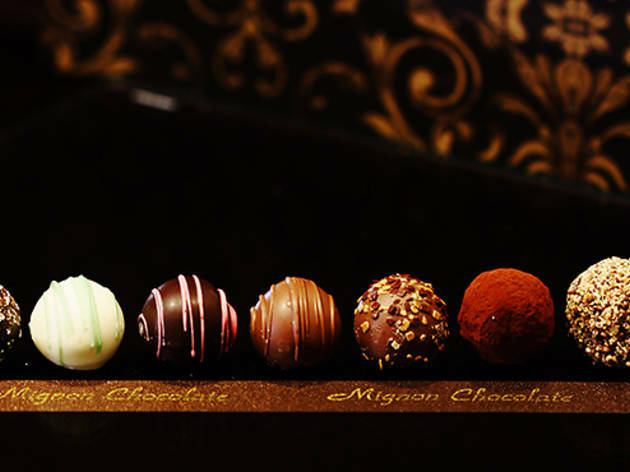 Since 1942, the chocolatier has crafted quality truffles, fudge and more in the factory that sits behind the shop—though it is close enough that an aroma of intense sweetness hits you as soon as you enter. There are no fancy art-deco chocolate prints on site, but sometimes sticking to the basics is necessary: a good old-fashioned Swiss truffle is done right here, and really, how much more complicated does a truffle need to be? To the chronic klutzes among us, John Kelly Chocolates may feel like a China shop: One wrong move and you could send the perfectly stacked boxes of chocolate tumbling. 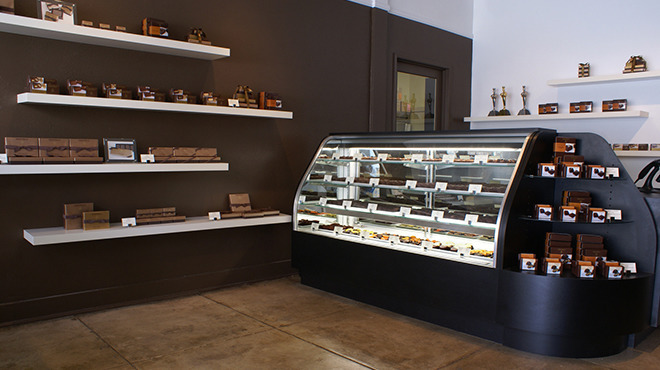 At both Hollywood and Santa Monica locations, a small glass display holds the confections, where sea-salt-sprinkled truffles sit triumphantly on top. While there is not a heavy focus on design, individual pieces pack a punch. 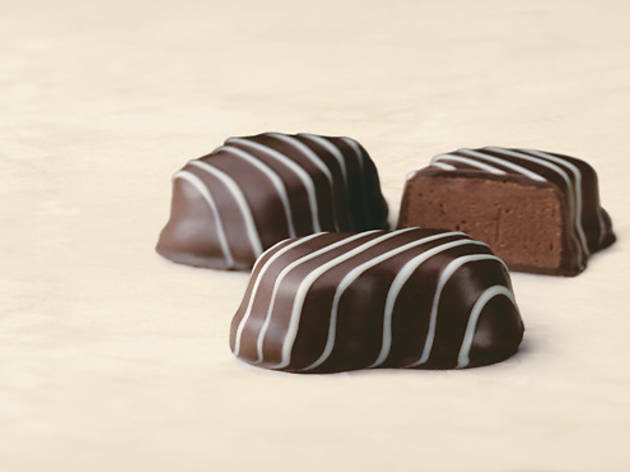 John Kelly’s claim to fame is Truffle Fudge, a heavenly mash-up between the two sweets that seems to weigh a pound in your hand and are even more decadent once you take a bite. Vodka balls? Say no more. 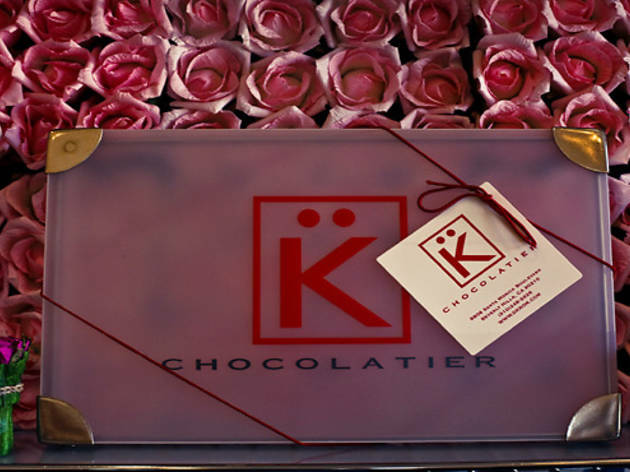 K Chocolatier by Diane Krön has been serving gourmet chocolate to the Los Angeles community since the 1970s, with both Beverly Hills and Malibu locations churning out truffles, snowballs and her famous K Bears (white-, dark- and milk chocolate-covered crispy rice in the shape of teddy bears). The chocolate is made daily using Krön’s Hungarian family recipe, and whatever the secret ingredient is, it seems to be working. 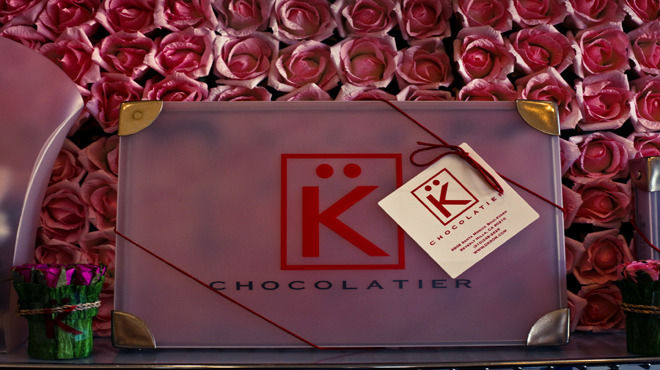 Dubbed the “Rolls Royce of Chocolates,” K Chocolatier was the go-to shop for the likes of Andy Warhol and Estée Lauder, and has maintained its top-tier status ever since. 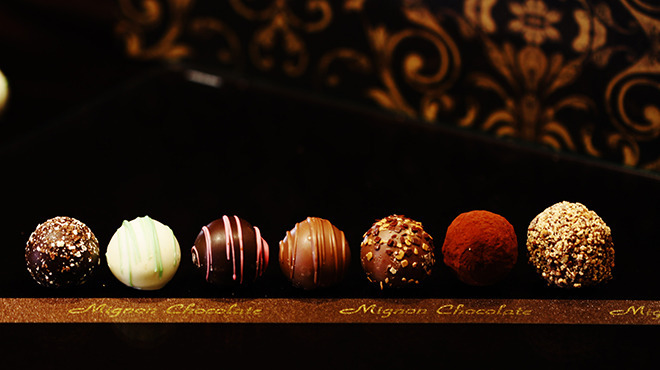 As a family business following original family recipes since 1935, Mignon Chocolate may have been tempted to settle into a chocolate-y routine. Instead, the Glendale and Pasadena chocolate shops feature the Cuban mojito, a refreshing chocolate shell filled with minty ganache, and the chili pepper, a fan favorite that is both sweet and savory. 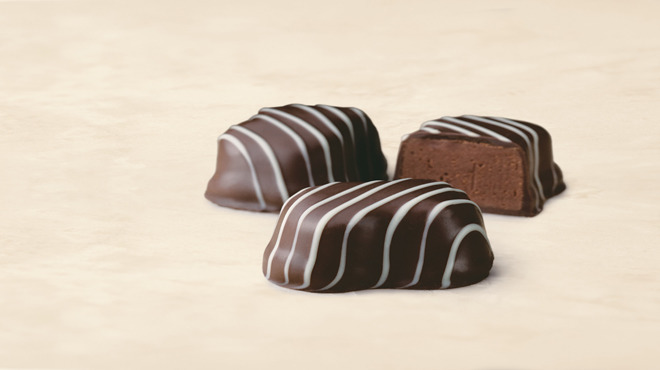 While the contemporary flavors may be enticing, the tiramisu truffle packs the classic Italian dessert into a succint ball of chocolate-y goodness that will have you saying, “Ti amo, ti amo!” What we’re getting at is this: When it comes to flavor, this SGV staple takes risks without sacrificing quality. 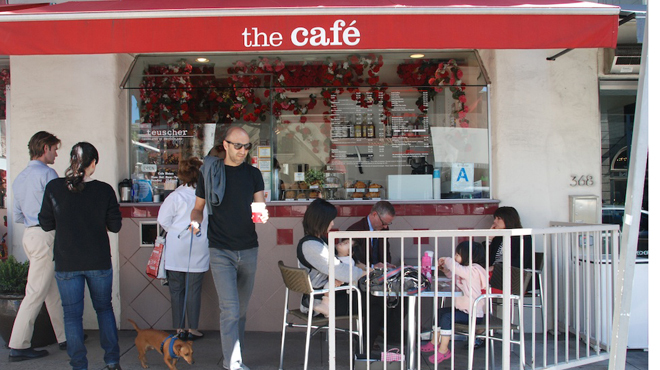 Among the many perks Angelenos can brag about—perfect weather, beaches galore, quality burritos—the accessibility of See’s Candies should be near the top of the list. 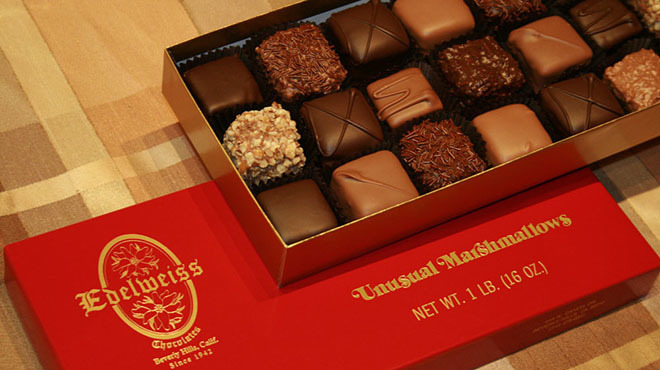 The L.A. institution, founded in 1921 by Charles See; his mother, Mary; and his wife, Florence, still maintains its flagship store and factory on La Cienega, where visitors come for the samples and stay for a box of hand-picked truffles and fudge. As for the chocolate shop’s staying power: You know they’ve done something right when your East Coast relatives demand a box as soon as you step off the plane. Don’t forget to add the Scotchmallows, milk buttercreams and California brittle when curating your own. 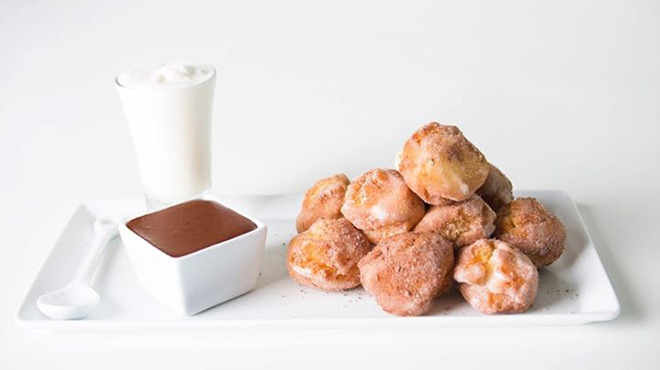 Calling all sweet tooths! 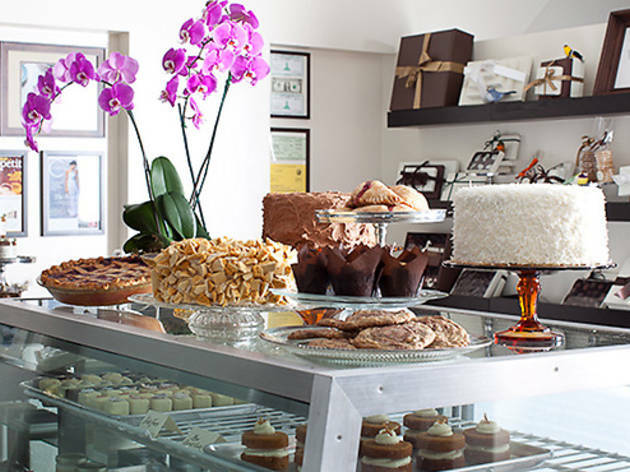 Head to this iconic Beverly Hills chocolate shop and cafe for artisanal confections and Stumptown coffee. 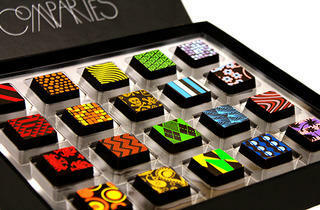 The chocolates, a perfect pair to your latte or cold brew, are flown in directly from Switzerland. 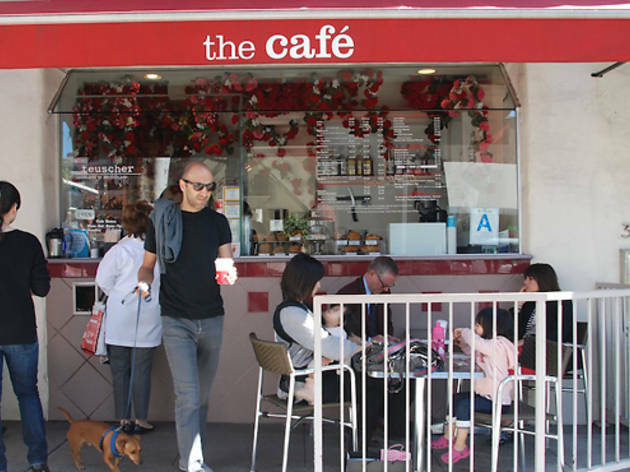 Pull up a chair at one of the few tables outside and enjoy a full menu featuring baked goods from Brentwood’s Farmshop and Culver City’s Röckenwagner bakery. Must-trys here are the triple-cocoa truffles, the hot chocolate and mocha drinks, made using Teuscher chocolates. The shop, which opened in 1983, is family-owned and run, and while fancy (and expensive) chocolate draws in a tourist crowd, you’ll also find locals crowding the shop’s coffee window for their caffeine fix. 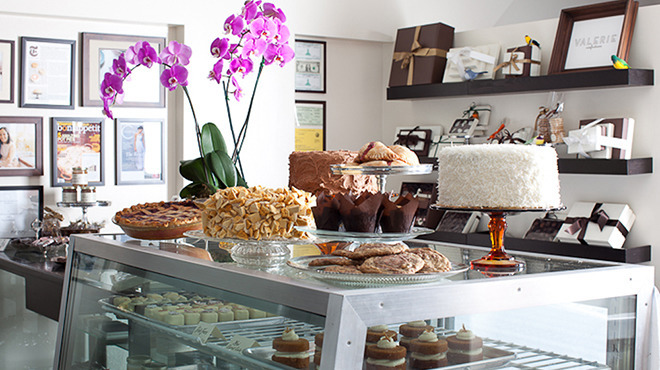 With a spot secured in Grand Central Market; a tea house and bakery in Echo Park; a cookbook, Sweet; and a boutique in Westlake, Valerie Confections is a household name in Los Angeles when it comes to chocolates. Regardless of location, you’ll find yourself faced with the difficult decision of what to buy once you arrive. Hint: the elegant petits fours, which are perfect for the cake-obsessed (we recommend the stout truffle and Earl Grey variety). If you know you can’t live without Valerie’s, consider some of the bakery's pantry goods, so you can enjoy them anytime. Looking for something to pair with that chocolate? 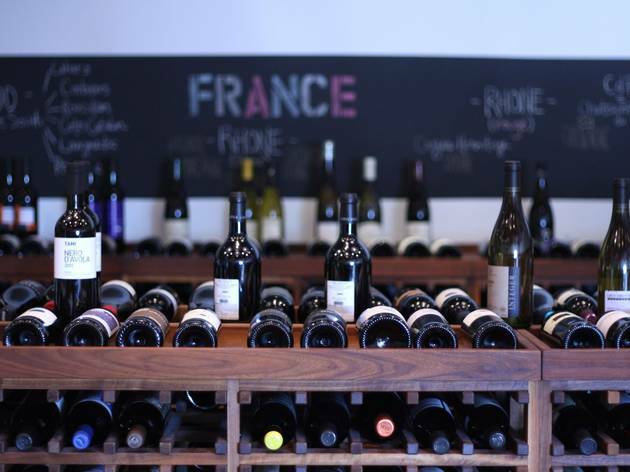 The best wine stores in L.A. 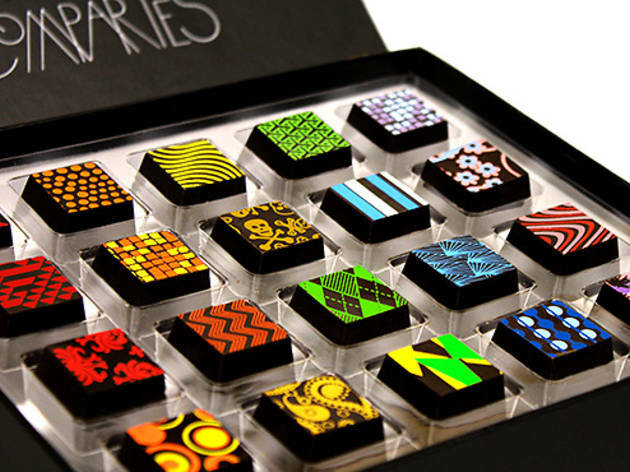 If you need an excuse to sip on some wine, we say having a box of delicious, artisanal chocolates is the ultimate reason to screw open a bottle. 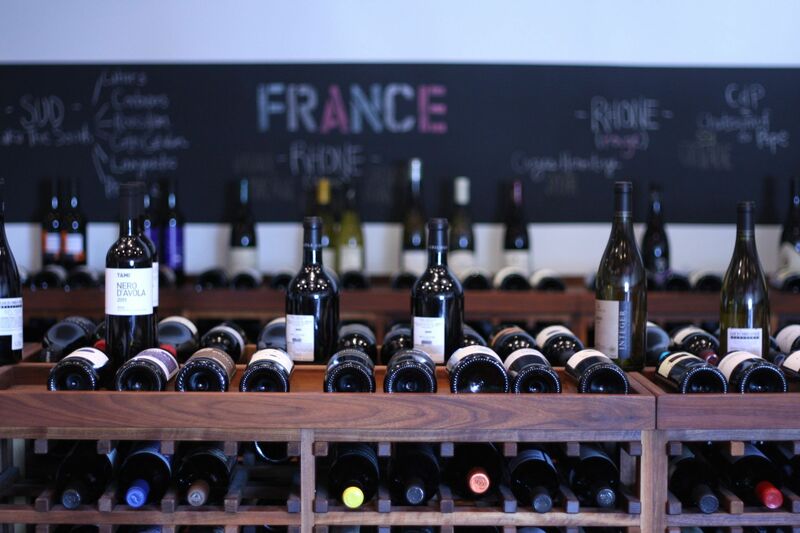 Head to one any of these wine stores to find the perfect wine pairing to your tasty treats.